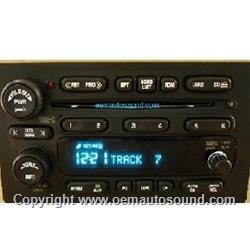 GM 2005-2009 CD6 radio 10359577 Delphi Delco Gmc,Chevrolet,Buick,Cadillac,Hummer,Isuzu. Compatible with or without steering wheel controls. Standard Chevy/GMC green-blue display color. Plays standard audio format CD's and CDRs. 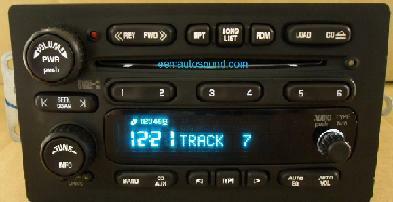 Has RDS (Radio Data System) feature.